German magazine Stereoplay ranked them "Absolute Spitzenklasse" (absolute top class)--as high as it gets, and ahead of many luminous modern speakers Live, impactful, fast, sweet sound--no harshness or expected horn colorations Super fast, tuneful bass.for everything from classical to hard rock and everything in between these are the most engaging speakers you'll likely find at this price point. The Klipsch Cornwall III not only delivers the full-range bass response of the Klipschorn® with sensitivity and output approaching the fully horn-loaded models, it delivers on style and sophistication. You're not buying a speaker - you're buying a piece of American audio history built on more than 70 years of acoustic technology. 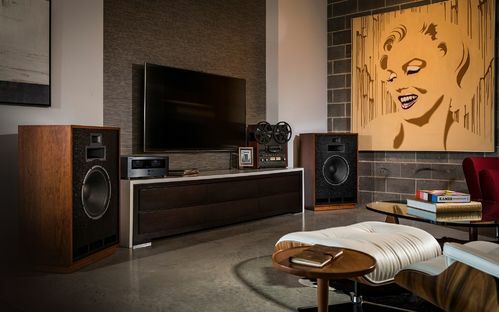 The Cornwall III derives its name from being the first Klipsch loudspeaker designed to operate from either a corner or against a wall (corn/wall). The Cornwall III is an excellent combination of wide frequency response, low distortion, and high power output. Within the Heritage series, only the legendary Klipschorn® offers more extended bass response than the Cornwall III. Like all Klipsch Heritage speakers, the Cornwall III is a lifetime investment. 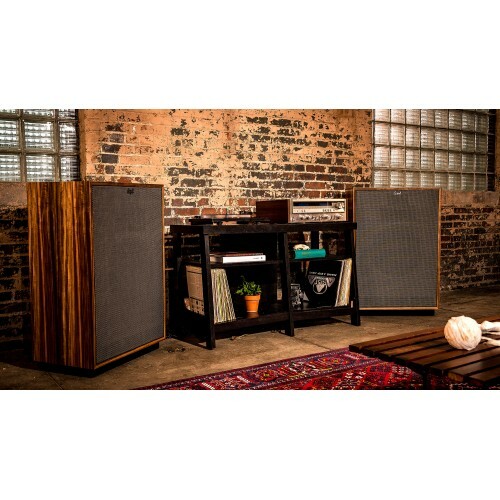 Built to the strictest Klipsch standards, these speakers offer years of gratifying performance. The Klipsch Cornwall III enclosure is still made in the USA, by proud craftsmen in Hope, Arkansas. Just like Paul W. Klipsch (PWK) intended. Initially introduced in 1959, the Cornwall speaker was designed to serve as a larger, full-range alternative to the Heresy when used as a center channel speaker between two widely spaced Klipschorns. When it was discontinued in 1990, there was an outcry from consumers resulting in a letter-writing campaign and even a petition to bring back the storied Cornwall. This famed speaker, now dubbed the Cornwall III, is back and better than ever. A three-way design using horn-loaded compression drivers for the midrange and treble and a direct-radiating 15-inch woofer for the low frequencies, the Cornwall delivers the full-range bass response of the Klipschorn® with sensitivity and output approaching the fully horn-loaded models. While each and every component of the Cornwall III is built to last, Klipsch has always recognized the unique and critical role of a loudspeaker’s cabinet in the sound reproduction process. From the craftsmen in Hope, AR to the engineers in Indianapolis, IN, Klipsch has always put an extraordinary emphasis on cabinet design. No other speakers are built as well, or passed on to as many future generations. A three-way design using horn-loaded Midrange and high frequency compression drivers for the midrange and treble. Direct-radiating 15-inch woofer for powerful low frequencies.